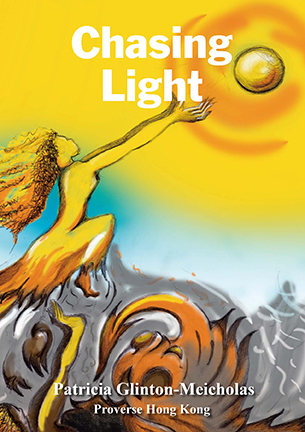 CHASING LIGHT is Patricia Glinton-Meicholas' third book of poetry and a finalist for the International Proverse Prize 2012. A challenging and controversial complexity of opinion pervades the collection, accurately signaled by the double-entendre of the title. Taken as a whole, the poems express concern for humankind worldwide, with a particular emphasis on the life of women, particularly those with an African or Caribbean heritage. Glinton-Meicholas speaks equally for those she imagines to live colourless, passionless lives and those whose private relations are ample and fulfilling. She responds to regional and international events, particularly the troubles brought by local politics and attitudes, and by war. The poems show a person passionately aware and caring, conscious of deity in various manifestations and hoping for the world's salvation from this source. Nevertheless she acknowledges that man has free-will and that it is for man to exercise his free-will to solve or avoid problems. The writing, with occasional lines in creole, is sophisticated and rewards close attention from the reader.